The widespread proliferation of modern external beam radiotherapy devices employing small or non-standard fields has created a number of challenges for accurate reference dosimetry measurements based on ionization chambers, as they require an ever increasing number of corrections. A miniature water-based calorimeter, on the other hand, would allow for direct measurement of absorbed dose to water that can be traced to standards entirely independent of radiation. In this study, a microfluidic calorimeter prototype developed at the Korea Advanced Institute of Science and Technology was assessed for its feasibility as a detector for measurement of absolute dose to water in small and composite fields. Using the GEANT4 Monte Carlo simulation toolkit, the detector design was examined for the water equivalence and the angular dependence of the absorbed dose to the active calorimeter volume inside three different radiation fields. The initial design exhibited poor water equivalence but this was remedied through a simple modification to the detector geometry. The modified design was subsequently re-tested and it showed a maximum water equivalence deviation of 1.15% while angular fluctuations remained within 1.1%, thus indicating that the modified microfluidic calorimeter is a promising concept for the construction of a calorimeter-based absorbed dose to water detector for absolute dosimetry. This work was financially supported by the Korea Agency for Technology and Standards (grant no. 10069168) and the Ministry of Science and ICT (grant No. NRF-2016M2A2A6A03946564). 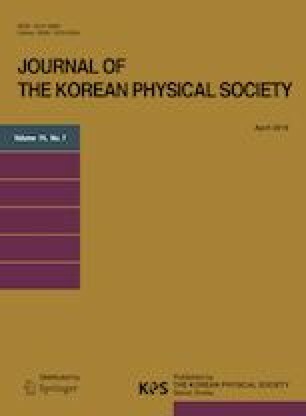 The authors are particularly grateful to Jong Hyun Kim and Won Hee Lee from the Korea Advanced Institute of Science and Technology for designing the original calorimeter model. Furthermore, the authors kindly acknowledge Elekta AB for providing proprietary geometry data on the structure of the GK model Perfexion.